Influence is not popularity and popularity is not influence. It’s so much more than that. Vendors claim to track influence when in fact, they track elements of online social capital based on proprietary algorithms of how people engage and connect in various social networks. The elements that contribute to contextualized social capital (focus, authority, the nature of relevant relationships, etc.) and how their online activity potentially reaches and affects others. Scores do not matter as much as the context of relationships. It is up to those who run influence marketing programs to define the “R” or return in ROI to track the true measure of influence, outcomes. 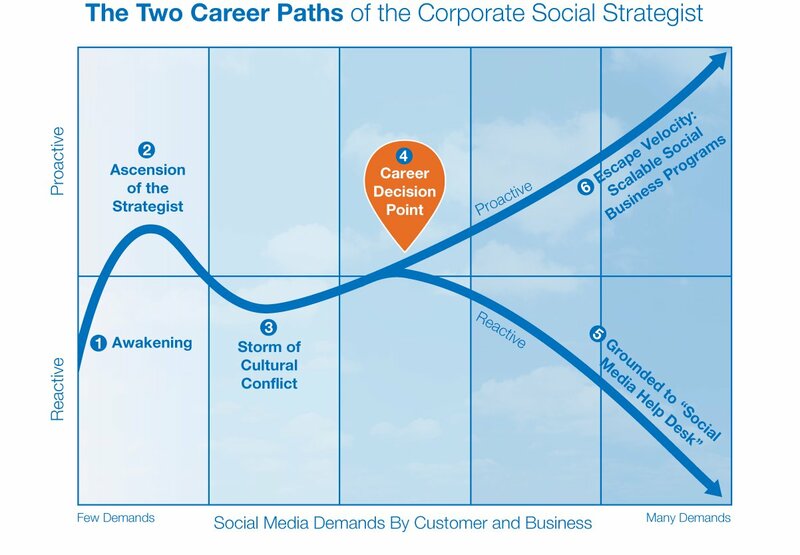 Linear approaches to enterprise collaboration and/or social CRM aren’t pragmatic or realistic. 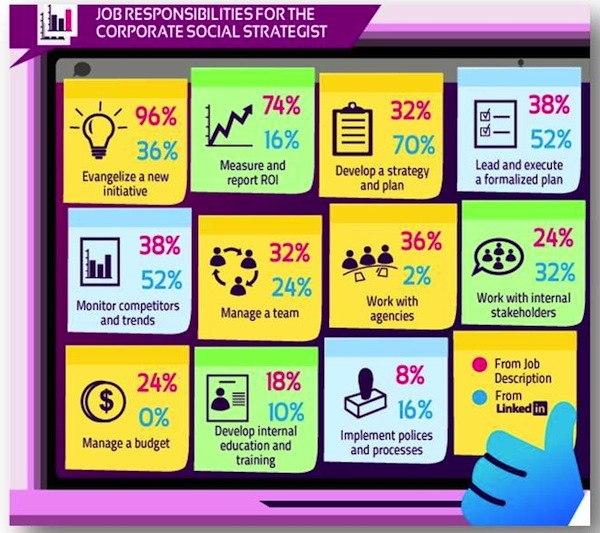 Organizations looking to implement either customer-facing or employee-facing social initiatives (a.k.a. 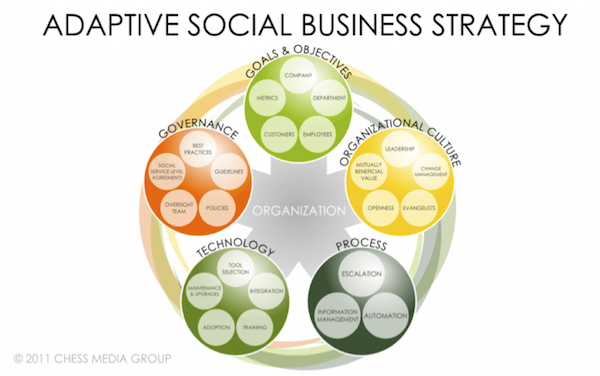 enterprise 2.0 and social CRM) need an adaptive social business framework. Addresses and shows the common elements among organizations that are investing in social business while allowing for flexibility. Tomorrow’s marketers will have to be well-rounded multi-disciplinarians who understand not only creative, but also digital marketing, social media and new technologies — and how those all complement one another — as well as how to back up a plan with data and analytics. Every element of their work will be pored over by multiple layers of bureaucracy. Trial and error is condemned. Your company is structured so it takes a lifetime to get to the top, and as such there are no digital experts in company-wide leadership positions. Your offices are cold, impersonal and downright stodgy. When all of these digital-talent deterring points are addressed, company leadership has effectively and proactively demonstrated the company’s dedication to a digital transformation. It is at this time that their words, a broadly communicated firm stance on the significance of the company’s digital goals, will make the most impact. Without this conspicuous top-down support, politics in the organization or simply one influential disbeliever can hinder the effort, limit the extent of digital integration possible, and discourage valuable employees.